The denominated “Madrid de los Austrias” hoards some of the oldest buildings in the city of Madrid. These properties maintain their former aesthetic and manor facade, its precursors wanted to imprint a detailed architecture during its construction. 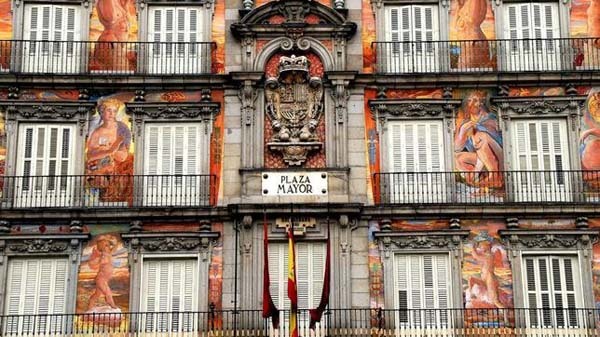 And these are the buildings that make Madrid a culturally rich city. 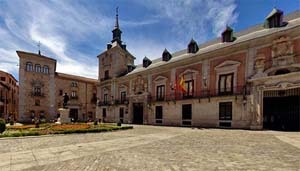 ‘La plaza de la Villa’ for example, brings together the biggest concentration of historical buildings in the capital, in fact, it is flanked by the same original furniture: ‘La Casa de los Lujanes’ was built in 1460; famous for its horseshoe arch in the main facade of the building, and in 1494 ‘la Casa de Cisneros’ a small renaissance palace. 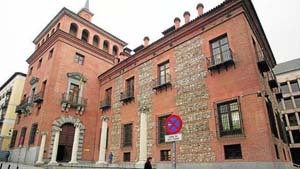 ‘La casa de las Siete Chimeneas’, on the 31st of calle Infantas, from 1574, and the ‘Casa de la Panadería’, in the emblematic ‘Plaza Mayor’, from 1590, end the list of buildings built before the XVII century. A list that, because of justice, we should add ‘la Real Botica de la Reina Madre’, the oldest pharmacy in Madrid, located in the ’calle Mayor 59’ since 1578.